This 3 Ingredient Peppermint Sugar Scrub is a real treat to gently nourish and deeply moisturize your skin. It only takes minutes to hand-blend a few simple ingredients that your skin will love. 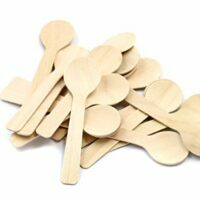 Great for handmade gifts – quick, simple and cute!! What’s not to love?! Alright, ladies and gents, who’s ready to get beautified?! The holiday season is a crazy hectic time for just about everyone, meaning self-care can sometimes take the back burner. This especially happens when the funds for expensive beauty products are instead poured into the Christmas gift fund. Well, I’m here to tell you your lack of self-care ends now because this 3 Ingredient Peppermint Sugar Scrub is the holy grail of sugar scrub recipes. Not only is a breeze to make, but it’s also extremely festive and budget friendly! Seriously, does it get any better than that?! 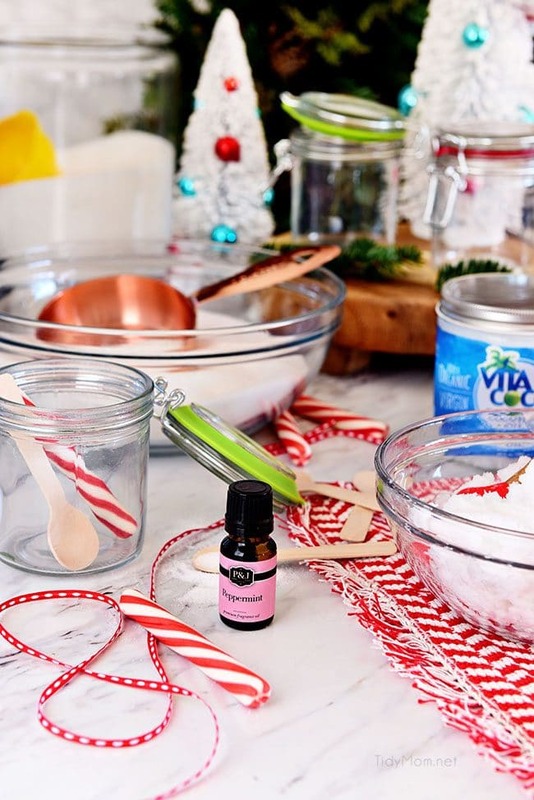 You need just 5 minutes of your day to whip up this essential oil-infused sugar scrub that will have your skin holiday party ready as fast as you can say exfoliate. What is A Peppermint Sugar Scrub, And Why Should I Use It? Typically, sugar scrubs, as the name suggests, are made with granulated sugar. The sugar is used to help exfoliate your skin and get rid of any dead skin cell buildup. The gentle yet effective exfoliation from a sugar scrub can help create the appearance of smoother, glowing skin. To use the scrub you’ll want to smooth a small amount onto clean, dry skin using dry fingers. Then, wet your fingers and gently massage the sugar scrub over your face. Rinse thoroughly with lukewarm water and pat dry. You don’t want to do this every day, as too much exfoliating can be too harsh on your skin. Consider it a sweet treat for your skin and only use it up to three a week as part of your skincare routine. 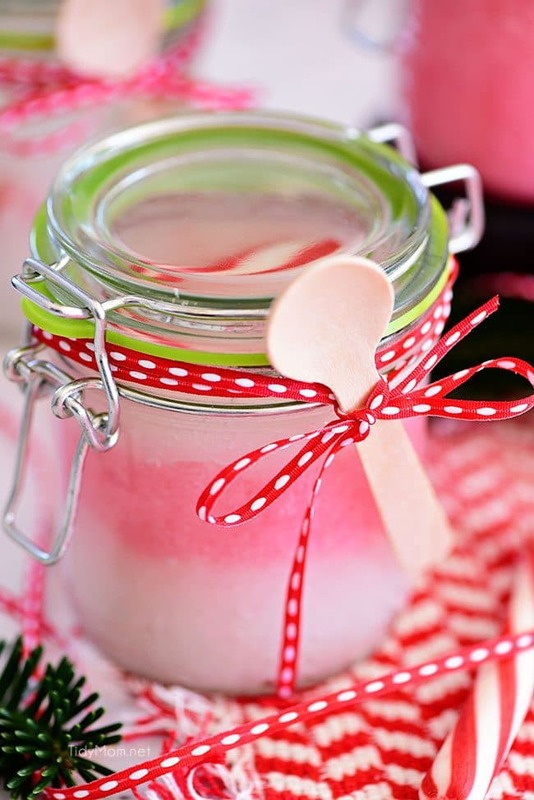 You can also use this peppermint sugar scrub on your lips! We all tend to fall victim to the dreaded dry winter lips, and as the saying goes “Ain’t nobody got time for that”. Use this sugar scrub to gently rid your lips of any dry, flaky skin on your lips and in no time you’ll be on your way to beautifully soft and luscious lips all year long. We all know beauty products can be expensive, which sometimes can make it hard to keep your skin in its best shape when you’re on a budget. That’s why I LOVE this incredibly easy peppermint sugar scrub that comes together in 5 minutes with just three ingredients! It’s as simple as just Heating the solid coconut oil in the microwave just until melted. Then add the sugar, peppermint oil, and food color (if using) to the melted coconut oil and stir until combined. Lastly just transfer mixture to glass jars and you have a great homemade product to use for yourself, or to give as a gift! If you want to switch up the scent of the sugar scrub just find your favorite essential oil scent and use that to replace the peppermint one I used in this recipe. 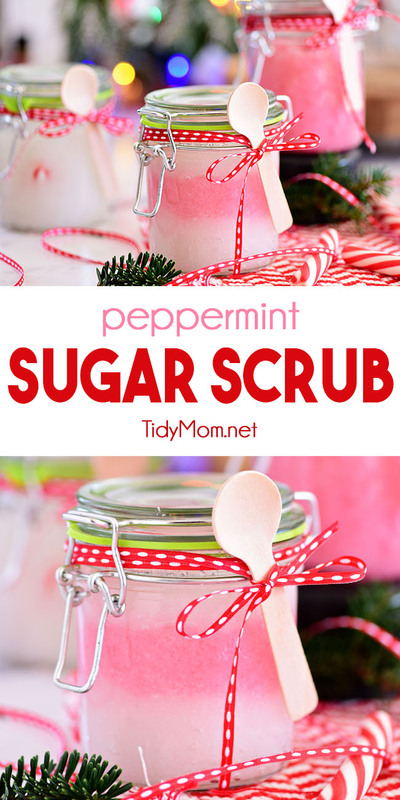 Its a super easy way to turn this holiday scrub into something you can use any time of the year. When Mixing: If you want to make this sugar scrub extra picture perfect, then don’t forget the food coloring. The layered color mixture makes for the cutest presentation. It’s even cute enough to earn a spot on the bathroom counter instead of in the cabinet of shame with all the other non-eye-pleasing products. Of course, you don’t have to add food coloring. If you’re looking to make this process as simple as possible then go right ahead and leave the mixture white. The sugar scrub will still do its job all the same. When Storing: If stored in a cool home, the coconut oil may become solid again. 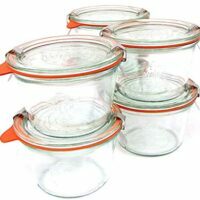 If this happens, fill a sink or bowl with some hot water to and place jar of sugar scrub with the lid tightly shut in water for 1-2 minutes. Remove from water, dry off the jar and sugar scrub should be soft enough to scoop out. If you want a mixture that doesn’t solidify as much, try using other oil alternatives like grapeseed or avocado oil. Both work just as well and won’t get as hard as coconut oil. 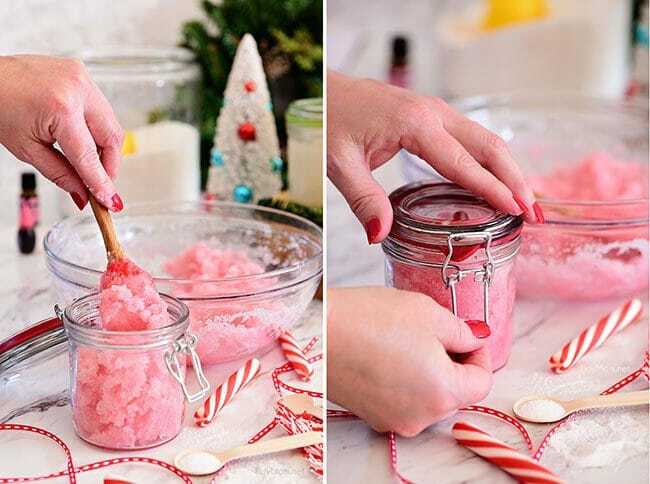 When Gifting: This sugar scrub makes for the perfect last minute gift idea. Whether it’s Christmas, mothers day, teacher appreciation day, or any other holiday you can think of, you have to have this on your list. It takes just a few extra steps to turn a fun DIY project into an adorable homemade gift. Grab some sealable jars, a spool of your favorite ribbon, and some mini spoons and you have everything you need. I love to use the ribbon to attach the mini spoon, but you could also attach a gift tag as well if you want to personalize the gift. 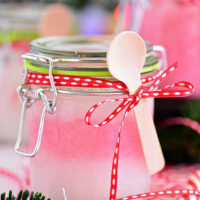 Homemade Peppermint Milk Bath An easy, yet luxurious homemade holiday gift or party favor. The milk bath recipe takes just minutes to mix and I’ve included a few packaging ideas + a free printable tag. Homemade Peppermint Foaming Hand Soap So easy to make with just a few ingredients, and it’s perfect for Christmas too! You can make it for yourself, all your bathrooms and kitchen, or even make some to give as gifts this holiday season! DIY Chocolate Facial Recipe If you thought a chocolate’s only purpose was to satisfy your mood swings, just wait until you see what it can do to your skin with an easy 2-ingredient Chocolate Facial Recipe you can make at home. Bubbling Lavender Bath Salts Mom will love relaxing in a bubbling bath as an amazing gift that she will never forget. Whip up these bubbling lavender bath salts and give her the gift of her dreams! DIY Lime & Mint Foot Soak this simple to make foot soak is a soothing, homemade mixture of Epsom salt, lime zest, and various natural ingredients. Package it up in a cute jar with a label and you have a great gift for anyone in your life. Homemade Honey Lavender Lip Balm Honey and lavender are great together and this lip balm smells like a dream. It will leave your lips soft and nicely conditioned because let’s face it… even when you do your best to stay hydrated, sometimes it gets away from you, and that’s where lip balm comes in! 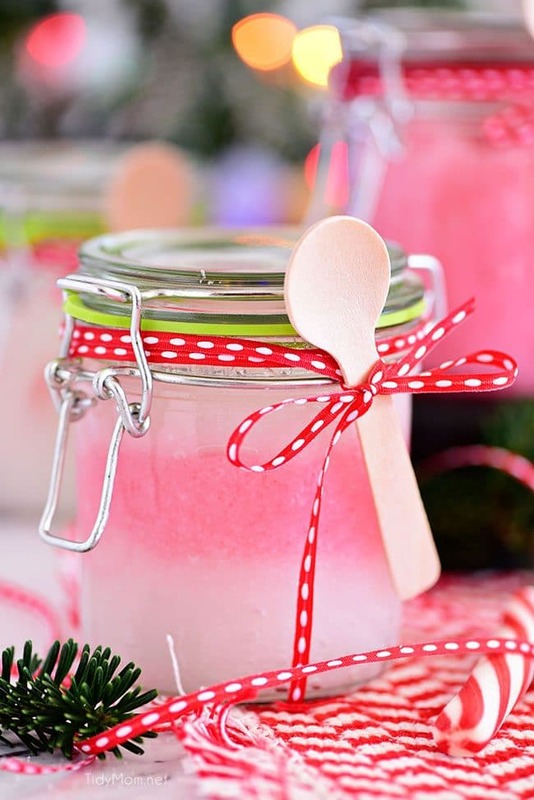 Like This 3 Ingredient Peppermint Sugar Scrub? Pin It! Once you try this peppermint sugar scrub there will be no going back. 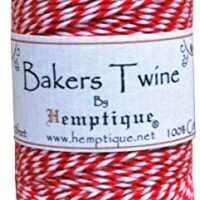 You find yourself making double and even triple batches so all your friends can try it too. Once I started using a sugar scrub I couldn’t belive I had gone so long without using one. 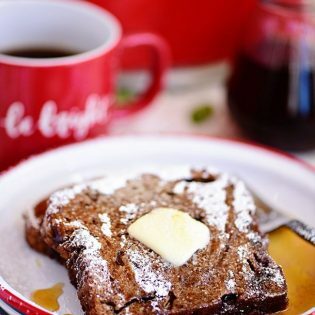 I hope you enjoy this recipe as much as I do! Heat solid coconut oil in microwave just until melted (you do not want to heat it to a hot oil) at 15 second intervals. Coconut oil melts fast in the microwave, so short intervals work best. 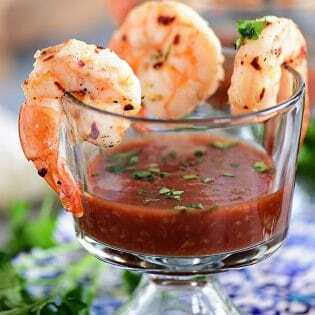 Add sugar, peppermint oil and food color (if using) to melted coconut oil and stir until combined. 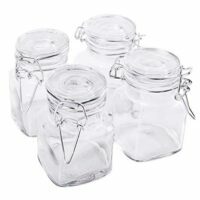 Transfer mixture to glass jar(s) for storage or gifting. If stored in a cool home, the coconut oil may become solid again. If this happens, fill a sink or bowl with some hot water to and place jar of sugar scrub with the lid tightly shut in water for 1-2 minutes. Remove from water, dry off jar and sugar scrub should be soft enough to scoop out. Self care is so important – not only every day but especially during the crazy chaotic holiday season! I love this simple sugar scrub with peppermint – it will make your hands smell so great all day long! What a great gift to give to yourself and others! 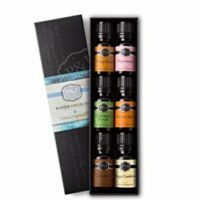 Such a gorgeous gift idea – and it smells divine! This is the perfect holiday gift. My teen girls LOVE this scrub! 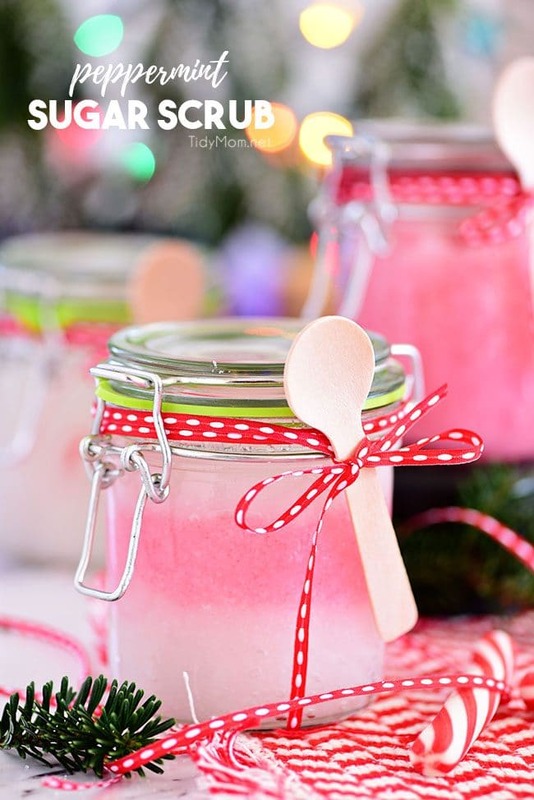 My daughter and I love using a sugar scrub during the winter months! This one smells so good!